PRICE REDUCED!! Beach front one bedroom condo with ocean views located on beautiful Redington Shores. This spacious fully furnished condo located on the 2nd floor has many updates. The kitchen has been completely updated with solid wood cabinets, stainless steel appliances and corian solid surface counter tops. The open and bright living / dining room area has sliding glass doors that lead out to the large balcony with views of the beach and Gulf of Mexico. The master bedroom has a huge walk-in closet and features a completely updated master bathroom and sliding glass doors out to the balcony. The unit also has a half bath which has also been updated with new vanity and toilet. The condo has easy care porcelain tile throughout and electric hurricane shutters. 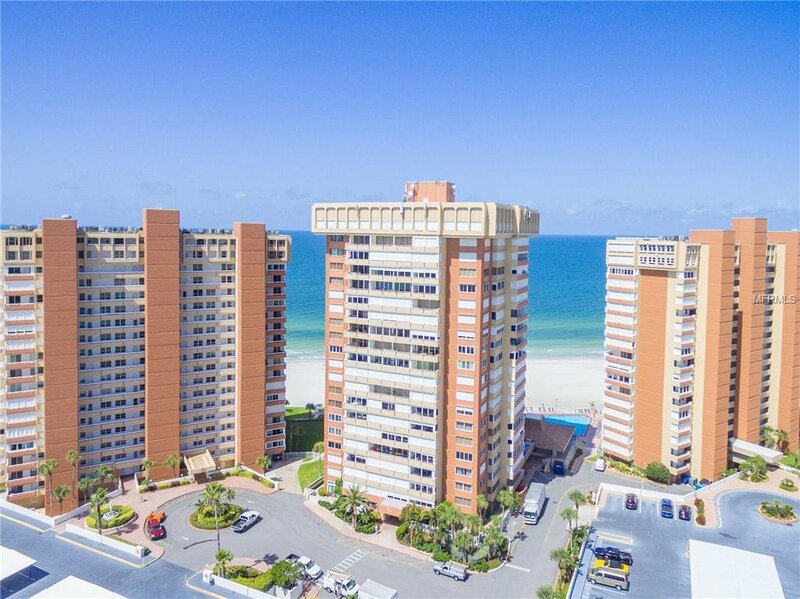 Redington Towers is a meticulously maintained resort style community and offers the best in Florida beach front living. Amenities include a beautiful recreation room, fully equipped exercise room and gym, BBQ area and heated pool . Step out from pool area directly onto the white sugar sand beach and beautiful Gulf of Mexico. The community has a guarded gated entry and onsite maintenance and management. The unit comes with its own covered parking space and extra storage area. Redington shores offers a variety of bars and restaurants and is ideally located between Clearwater Beach and St Pete Beach with Tampa International Airport only around 40 minutes drive away. Come and own your slice of paradise!! Sorry no pets. MAKE AN OFFER!! Listing courtesy of LUXURY & BEACH REALTY INC. Selling Office: DENNIS REALTY & INV. CORP..